I work for a family owned oil corporation. I use Quickbooks Pro 2008. I am having difficulty with the accounts receivable via cash sales. Many of the customers pay in cash. The owner of the corporation (president) has been pocketing the cash and not depositing it into the corporation's checking account. I've already invoiced out these customers. Because of what she's doing - I can't get the books to balance. No big surprise there. So my question is this - is there some kind of balance adjustment I can do so that there will be a record of the money coming into the corporation's hands & being credited to the customer's account, but not into the checking account?? Thank you for your question regarding Accounts Receivable Via Cash Sales. 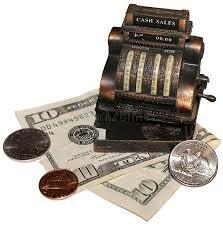 There are a few different ways you can account for the cash receipts that are then pocketed by the owner.